This panel discussion was made by Baffour Agyeman-Dual, CEO of the John A. Kufor Foundation; Jonathan Starr, Founder and Emeritus Director of the Abaarso School of Science and Technology; Oley Dibba-Wadda, Director of Human Capital, Youth and Skills Development of the African Development Bank (AfDB); Tabata Amaral, Political Scientist and Débora Bais, Senior Specialist of the National Confederation of Industry. Jonathan Starr talked about the importance of focusing on students’ personalities to identify some specific principles such critical thinking and individual abilities. “What we do differently is to invest deeply in each of these personalities, that makes us have a broader education”. According to the Director, it is necessary to provide tools so that children can continue learning. As a mentor to several young people, Oley Dibba-Wadda said she can see that it is possible to find brilliant students who lack the confidence to speak and engage with other people. Therefore, it is important to develop critical thinking and other skills on these students to allow them to participate more. “At the moment on the African continent, there are 12 million young people unemployed. It’s not about going to school and having a degree. What we need is for these young people, certified or not, to become entrepreneurs and start creating jobs”. 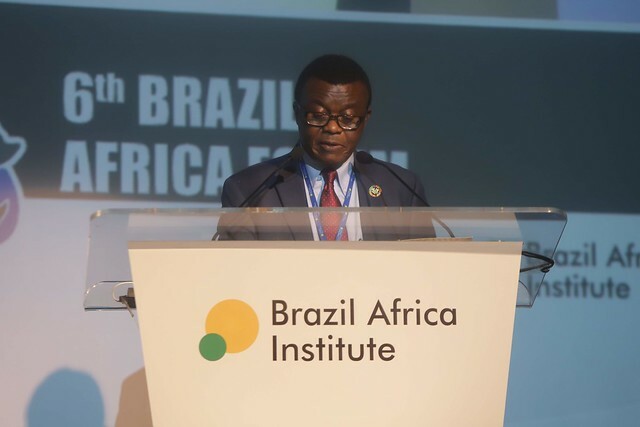 Dibba-Wadda recalled that the African Development Bank has been addressing this issue differently, including the provision of financial resources for youth, so that they can create new opportunities. Tabata Amaral, Political Scientist, has stated that it is essential to teach students how to become resilient and motivated, and to strengthen teamwork. According to the professional, youth leaves high school with no real chance of employment and this resembles the realities of several countries in Africa. “Young people no longer want to go to high school because the job is difficult, they leave without dreams. They are screaming and saying: I do not know why I should continue studying since there is no value in this”. Tabata Amaral believes that a supranational coalition between the countries that suffer inequalities is necessary so that together they can discuss and solve these problems. Débora Bais, a Senior Specialist of the National Confederation of Industry, brought to the discussion the example of Senai, which treats young people in the job market not only in adulthood but also during high school. “Since 1942 we have managed to professionalize more than 71 million young people in Brazil. Typically, the individual already leaves high school with a guaranteed job or with a better chance of getting on the market”. For Baffour Agyema-Duah, CEO of the John A. Kufor Foundation, education is the only tool that can prepare young people for life and make them complete. He pointed out that one of the things to bring to the classroom is how the young person should relate to society. “Education must be more than giving information but providing the youth with an environment that allows them to have a harmonious life”. Agyema-Duah also spoke about the importance of supporting young entrepreneurs and ensuring that their companies can deal with the difficulties of the first five years so that they can then expand. “We are looking to help them survive”.